Police recognized the suspect and arrested him the same day. 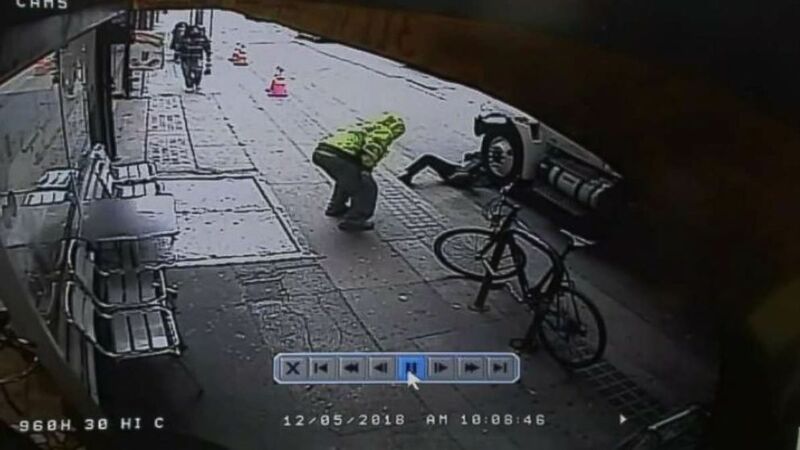 In the surveillance video, acquired by Los Angeles ABC station KABC, a man is seen sitting on a bench by the sidewalk. He jumps toward one woman and startles her, before sitting back down. 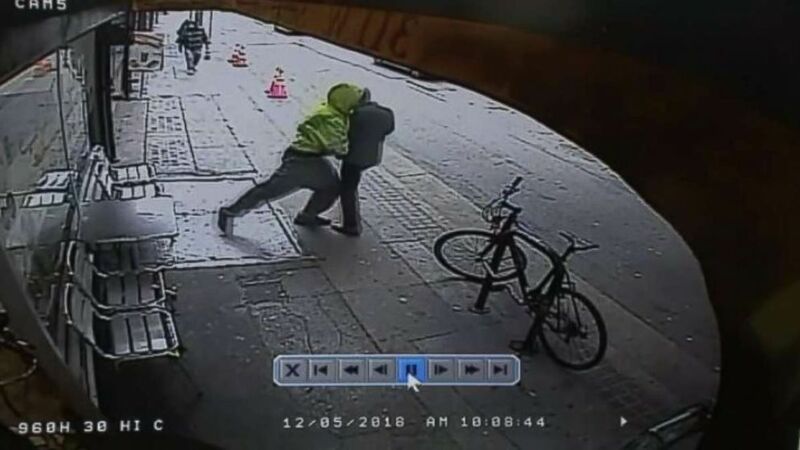 (KABC) Surveillance video shows a man pushing a random passerby in front of a truck in downtown Los Angeles on Wednesday, Dec. 5, 2018.